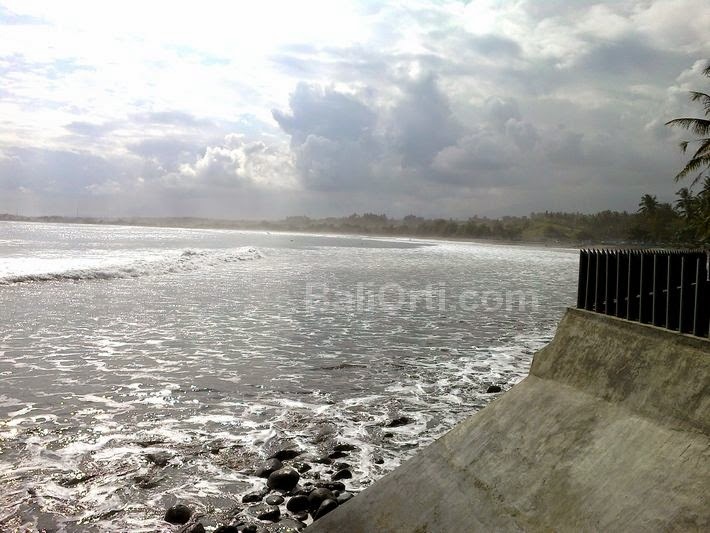 Medewi Beach, located in the village of Medewi, Pekutatan Jembrana, West of Bali, Indonesia. This beach is famous as the spot for surfing. 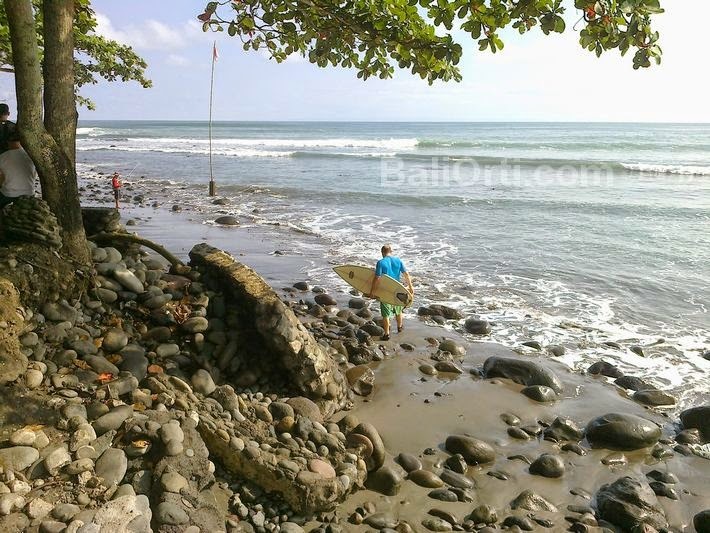 Although the beach is not as beautiful as Kuta beach, but this beach is one of the very famous in Jembrana, and is the only beach that attracts most foreign tourists in search in Jembrana. 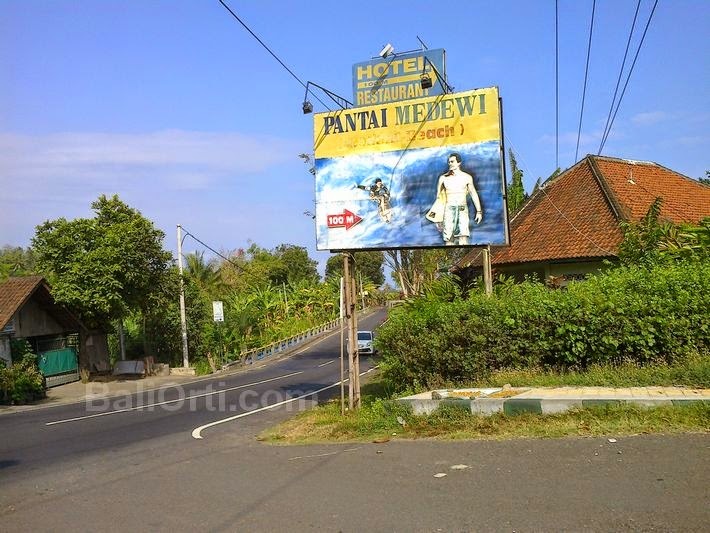 Signs that directed toward Medewi beach. Medewi beach with big stones on the beach. Medewi Beach seen from the highway with a paddy field near the beach.